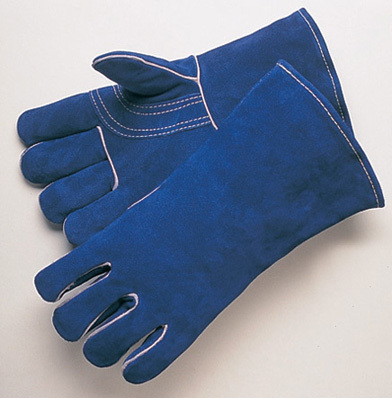 Premium side split blue leather welding gloves. One pair. Foam lined, reinforced thumb & palm for extended comfort while welding. Kevlar® thread sewn. Also great for use on the barbecue! Made in China.